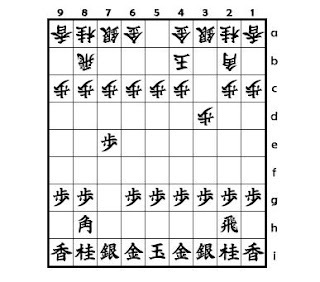 Yamajunn's Shogi opening traps: Haya ISHIDA part 1. 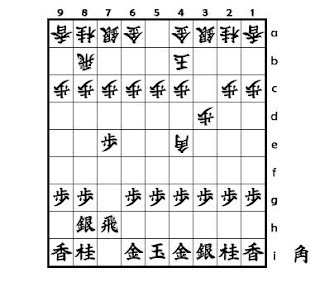 Shogi opening trap : Haya ISHIDA , part 1. Gote moves up his King with K-4b just after Sente shows the attitude he wants Haya ISHIDA . The K-4b has a mean to disturb Sente's Haya ISHIDA . If Sente still seletcts Haya ISHIDA , how Gote plays ? Gote exchanges the Bishops and immediately drops the Bishop with 4...B*4e . In many cases , Sente protect 6g Pawn . One example of lines after diagram 2 is shown below . 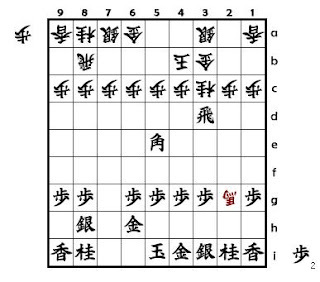 The position of diagram 3 is still difficult , but most Sente players prefers quiet lines . So in many cases , Sente players push 3.P-6f instead of 3.R-7h .